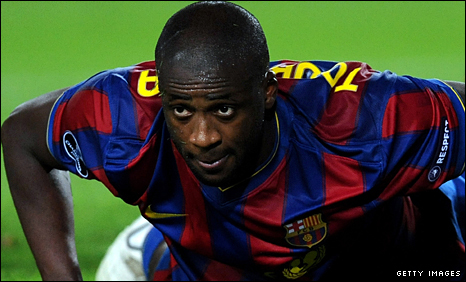 Manchester City have signed midfielder Yaya Toure from Barcelona on a five-year deal for a fee of about £24m. The 27-year-old, who played for Ivory Coast at this summer's World Cup, was told he was surplus to requirements at the Catalan club last week. "This is another fantastic signing for Manchester City," manager Roberto Mancini told the club's website. Toure's arrival follows deals for Spain midfielder David Silva and Germany defender Jerome Boateng. The transfer fee for Toure, who will enjoy a three-week break before joining his new team-mates for pre-season training, takes the club's summer outlay to about £60m - still some way short of last season's £120m spending spree. The younger brother of City captain Kolo, Yaya Toure complained in December of a lack of playing time at La Liga champions Barcelona, telling BBC Sport he was keen to play in "100% of games." However, Mancini backed Toure to help City build on last season's fifth-place finish in the Premier League. "Everyone knows Yaya is a player that we have admired for a long time," added Mancini. "We would like to welcome him to Manchester City. He has played at the top level with Barcelona and I am sure his experience and ability will be very important for us." 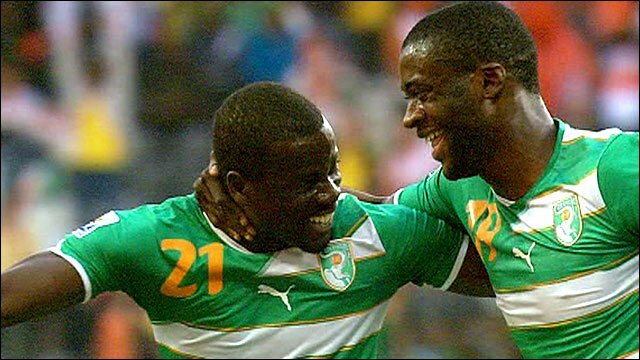 Toure played every minute of Ivory Coast's World Cup campaign and scored in the 3-0 victory against North Korea, but was unable to prevent them from exiting at the group stages - albeit from a group that also contained Brazil and Portugal. And that disappointment came on the back of a frustrating season at Barcelona, where he lost his place as the team's holding midfielder to Sergio Busquets and played the full 90 minutes only nine times in the 38-game league season.